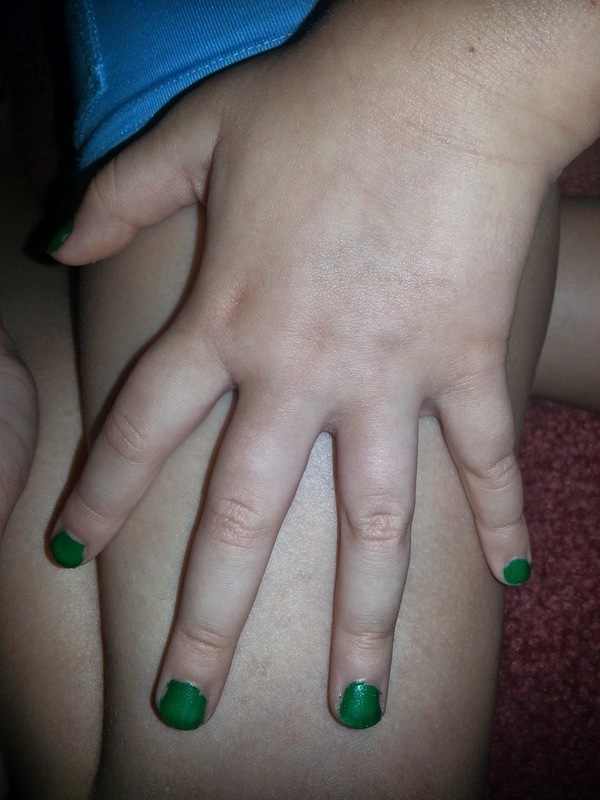 My daughter was really excited when we got this polish. 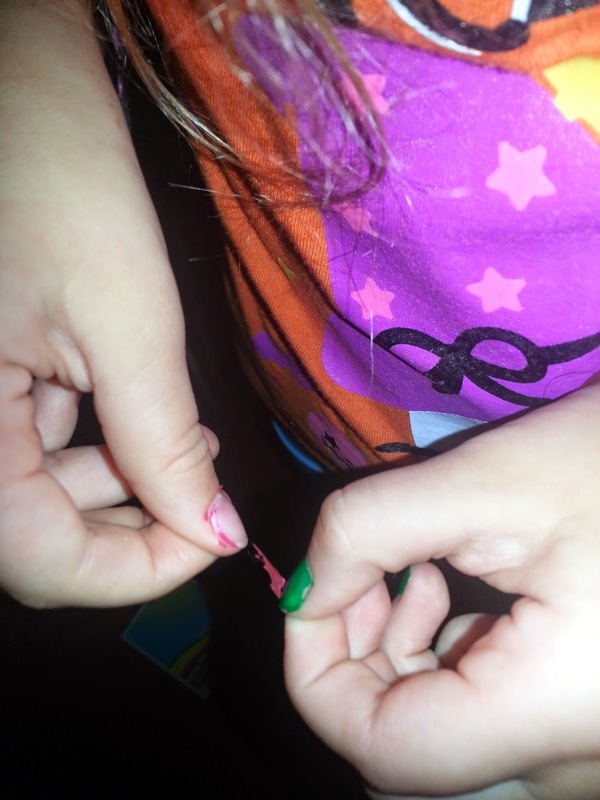 She is always wanting to do someone's nails and this is pretty cool. You can paint someone's nails and then peel the polish right off. The colors we got were green and pink. 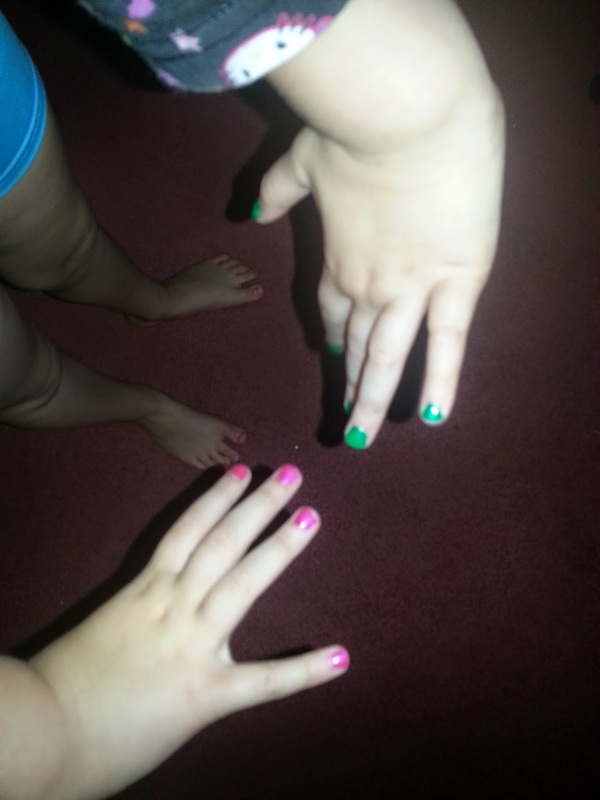 As soon as we opened these of course she wanted to paint with the pink polish first. 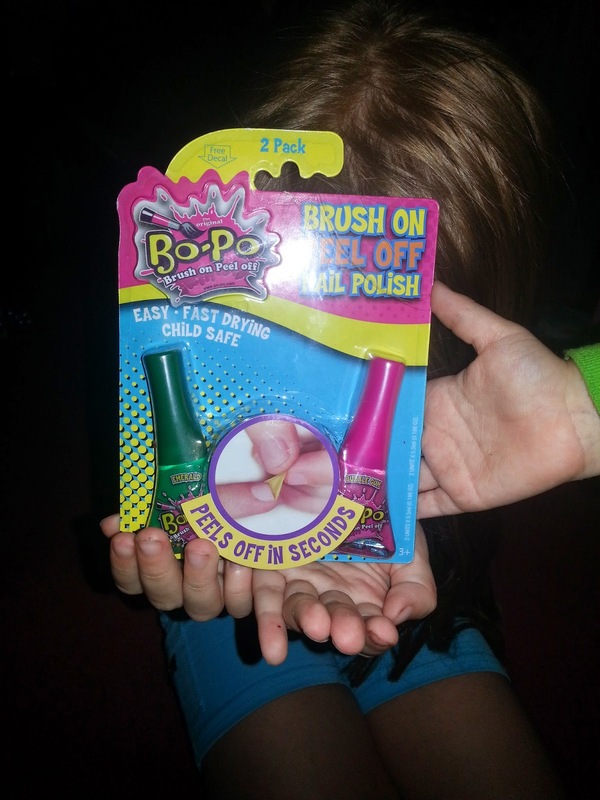 The polish is made by the company Bo-Po Nail Polish by Worx Toys. The colors we got were the green which is Emerald and the pink which is OMG they have 10 beautiful colors cloudy day, emerald, grape soda, OMG, Razzmatazz, bubble gum, and day camp. The polish went on super smooth and had no issues at all with this. This looked like regular nail polish only thing is this polish peels right off no issues or problems at all with that. I think I might even try out these polishes I know id really love the part of peeling it off when I am tired of it. I guess that would be a kind of test. To see how long it would actually stay on the nails with everyday work. I really love how the polish peeled right off when she was ready to pull it off. 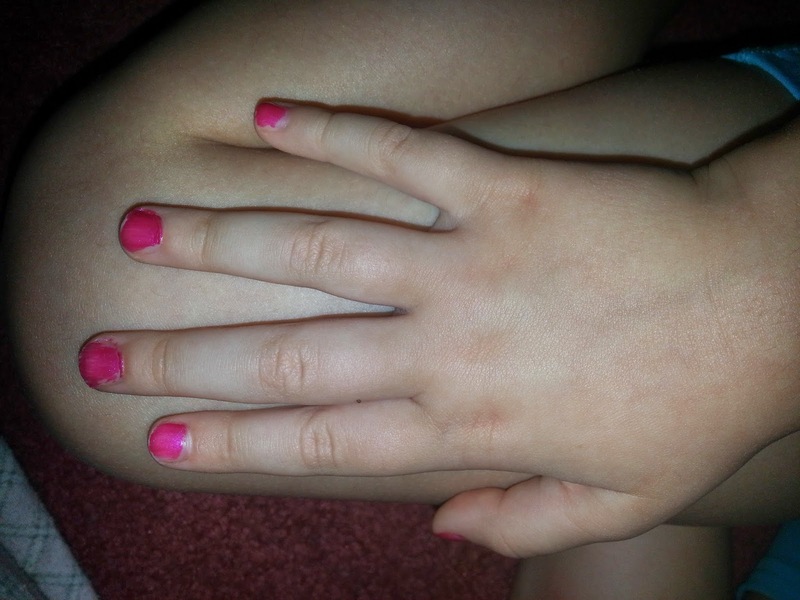 This is such a great idea for young ones that are wanting to paint their nails a lot. I even feel safe with her doing this on her own as long as she has a napkin under her hands. Worx Toys: was started by three fathers who had an idea for a revolutionary new type of toy that combines stimulating the natural sense of curiosity in children, focusing on ages 6 to 9, with discovering how things work and learning in a fun way. One of our sons, like many other boys, loves to ponder about how thing work, often gazing quizzically into toys and asking a lot of questions. Each Worx Toy is accompanied by an interactive storybook that takes the child through how each of the major parts inside the toy works in real life by showing them with animated lights and sound and corresponding codes. All of our patent-pending line of toys are compatible with the Worx Storybook Transmitter so that parts on the vehicle light up and make cool sounds as you read! 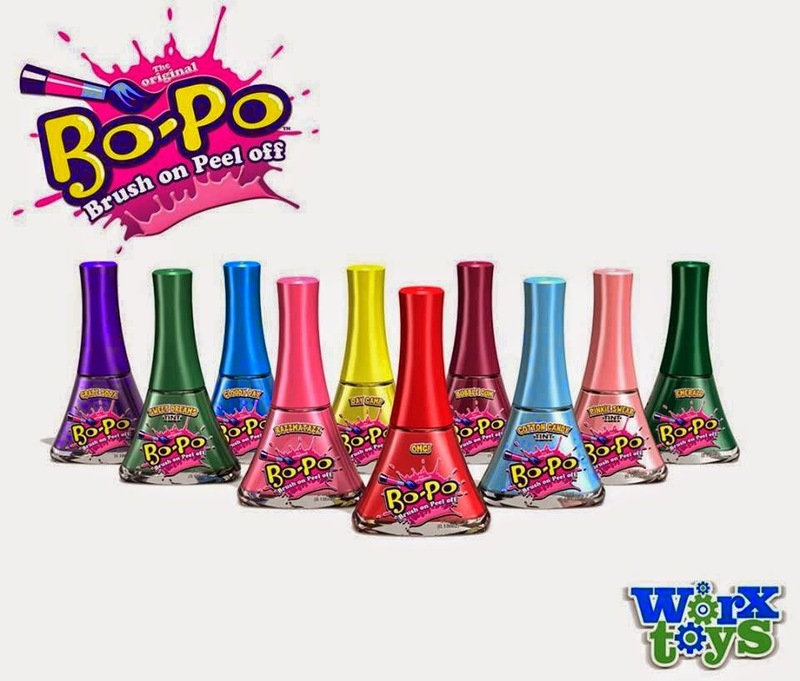 Would you like to win some B0-Po polish of your own?? Enter the Rafflecopter Below for your chance to win!!! No I have never used this or any other kind like it. Hi! I've never heard of this product before. It's a fun idea for little girls though! Thanks! No, I have never used a product like this. My daughter would love this.